The Panasonic Lumix DMC-FT2 follows a long tradition of incrementally improving on a previous model by adding a smattering of new features. Cynics may argue that there's not really enough new features on offer to justify the upgrade, but the inclusion of freezeproof-ness, better waterproofing and shockproofing, plus a noticeably quicker auto-focus system, means that the DMC-FT2 is a serious challenger to the longer-established Olympus Tough series. As with its predecessor, the FT2 is a take anywhere, use (almost) anywhere that combines sophistication with resilience. It's also certainly one of the better-looking "tough" cameras on the market, only surpassed in our view by the rather attractive Casio EX-G1. The DMC-FT2 really will survive most things that you throw at it, or throw it into - we bet that you'll only upgrade the FT2 in future for a better specified model, rather than because it cracks under the strain of hectic family life. The main negatives are that the camera is on the pricey side if its nigh indestructible qualities aren't a key priority, although this is true of all cameras in this category, so make sure that you really will regularly use the DMC-FT2 in at least one extreme environment before purchase. Also the move to 14 megapixels doesn't add anything to the camera, although thankfully it doesn't detract in any way either, with image quality on a par with the previous FT1 model. Panasonic has now certainly caught up with its main hard-as-nails competitors, with the DMC-FT2 proving a a serious proposition for extreme sports' fans and families with children alike. 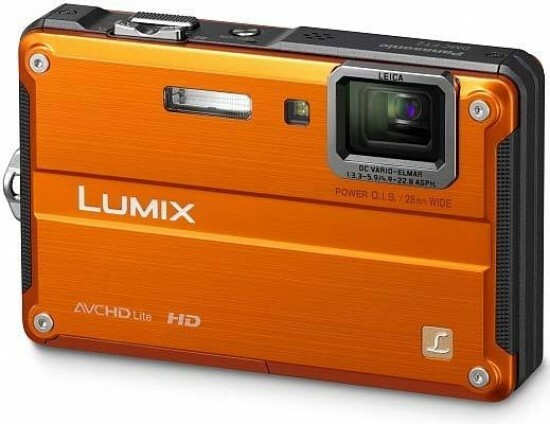 It's not the best compact camera around, but it will certainly outlast the majority of its rivals.